Make plans now to be sure to read aloud to your child or grandchild tomorrow! February 1 is World Read-Aloud Day, a day to enjoy reading aloud with children and to develop awareness of literacy needs around the world. One of my favorite stories of reading aloud is found in the Book of Nehemiah, in the Bible. The Jewish people had been exiled in Babylon for 70 years. They rebuilt the temple when they were allowed to return to their own land, but the walls of Jerusalem remained in ruins. Then Nehemiah came on the scene. He made a plan and organized the workers, and despite opposition and harassment from enemies of the Jews, the wall was completely reconstructed in just 52 days. “So on October 8 Ezra the priest brought the Book of the Law before the assembly, which included the men and women and all the children old enough to understand. He faced the square just inside the Water Gate from early morning until noon and read aloud to everyone who could understand. All the people listened closely to the Book of the Law. … When they saw him open the book, they all rose to their feet. “Then Ezra praised the Lord, the great God, and all the people chanted, “Amen! Amen!” as they lifted their hands. Then they bowed down and worshiped the Lord with their faces to the ground. With understanding came weeping. But Nehemiah and Ezra and the Levites comforted the people and encouraged them to be joyful instead. Reading aloud to children benefits them in so many ways, as I often share about on my Facebook page DianeStortzBooks. Teaching them to love books and reading is one of those, and that just might be part of the key that unlocks a lifelong love of reading and understanding God’s Word. So find a child, find a book, and get ready to read aloud. 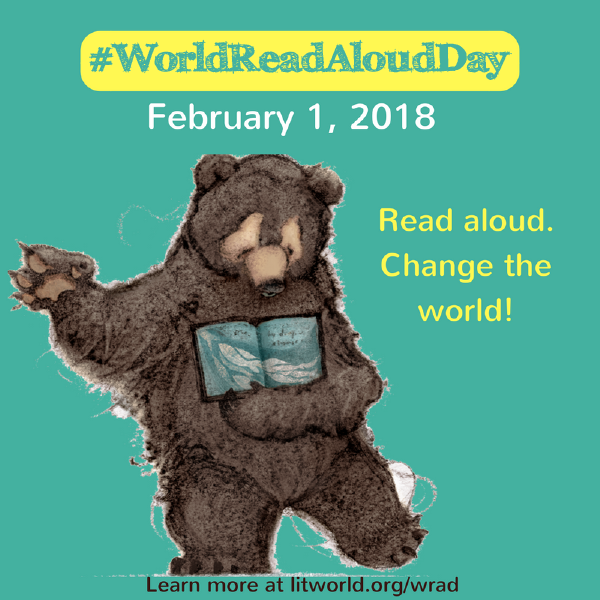 Tomorrow is World Read-Aloud Day! Find a child, find a book, and get ready to read aloud. 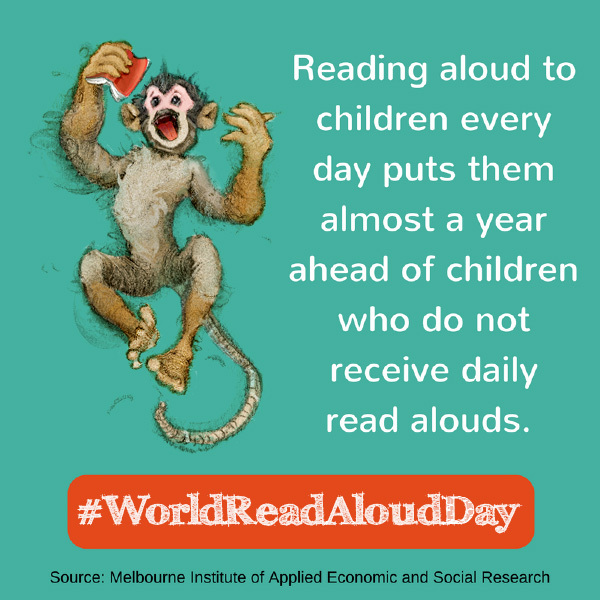 Tomorrow is World Read-Aloud Day! 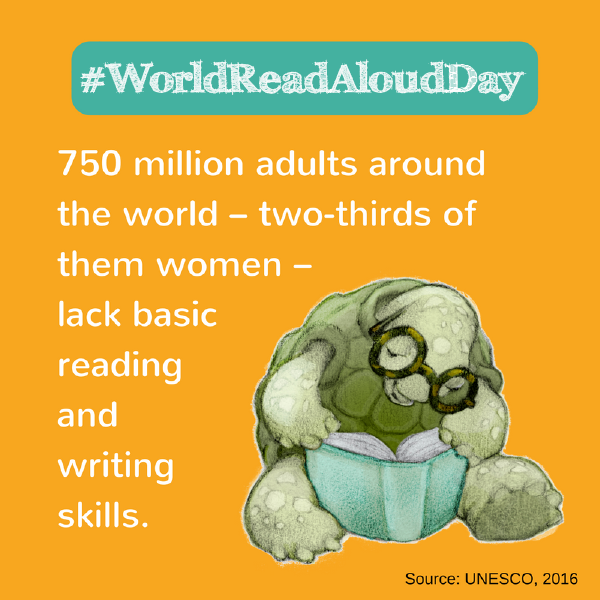 World Read-Aloud Day is a project of LitWorld, a 501(c)3 nonprofit organization founded by literacy expert Pam Allyn in 2007. LitWorld works with a broad coalition of national and international partners to ensure that young people worldwide can experience the joy and transformation of reading, writing, and storytelling. Thanks for reminder about Biblical precedent in Nehemiah! I won’t see any children tomorrow but I’m getting ready to order faith-encouraging books for Valentine gifts which I’ll be reading aloud to them as soon as I get them in my arms.